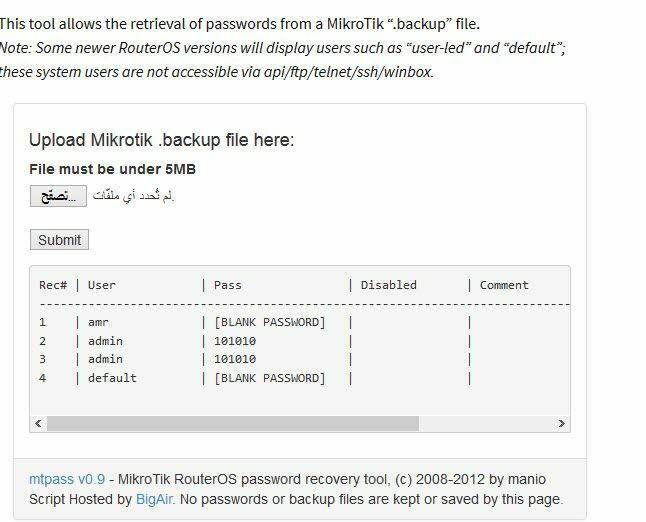 Information on this page as well as mtpass tool are intended to help (to recover password(s) without loosing configuration) mikrotik administrator and/or owners *ONLY*. Using it for other purposes (ie. to networks) is breaking the law!